Rustic Wooden Table Caddy | How versatile can it be? The wooden table caddy – where did it come from? Look up the word ‘caddy’ online and the variety of references might surprise you. For example, did you know that ‘caddy’ is the nickname for the elusive sea serpent Cadborosaurus willsi? 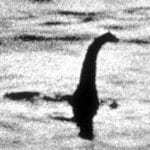 Its features and habits are similar to the Loch Ness monster. No? Well how about a 45-pound barbell weight, a protective case for an electronic module or a non-playing role in the game of bridge? Who knew! Many of us would know it as the informal name for a Cadillac, the iconic luxury American automobile. And more of us again as a box, jar, canister, or other receptacle used to store tea. Practical, purposeful. Just like a table caddy! Once you notice a table caddy, or table tidy, you’ll see them everywhere these days: in cafes, restaurants, pubs, hotels, even in the home. It is because they are so practical, purposeful and are so very versatile. They enable multiple items to be carried at once, saving time in a whole variety of ways. Whether as a condiment or cutlery holder, wine, beer or even champagne carrier, there’s a table caddy for every environment. Some admire them for their rustic beauty or shabby chic distressed style. Others require them for their sturdy, practical durability. Whatever their purpose, demand for the table caddy continues to rise. Recognising that no one size fits all, Ligneus offers a range of table caddies, for business use, at home or as a gift. Suitable for indoor or outdoor use, they come in a choice of finishes and can be personalised, branded or customised. Who knew the utilitarian table caddy could be so aesthetically pleasing and versatile?